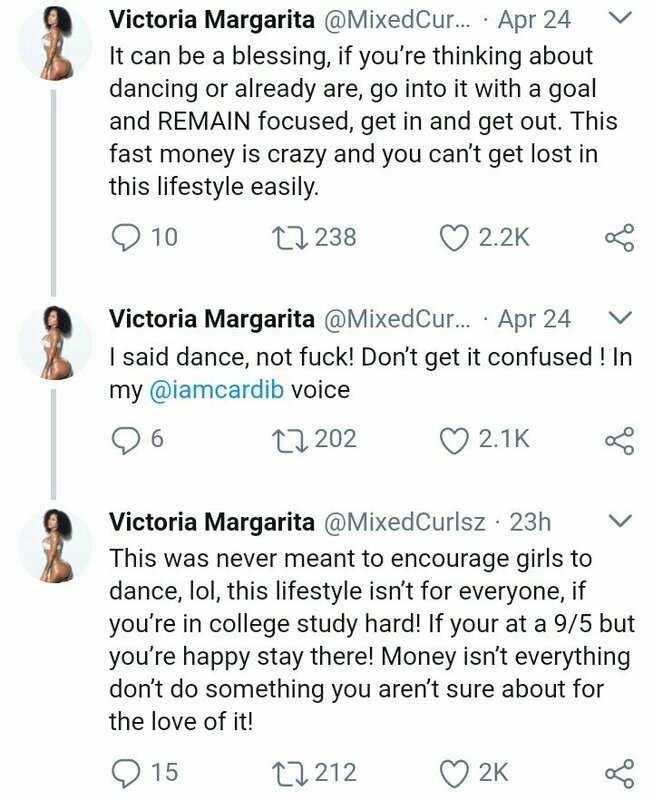 A 20 year old Twitter user identified as Victoria Margarita who was once a dancer before becoming a stripper took to her Twitter TL to advice other other dancer. Since there’s such a negative stigma to dancing I hide it for like 2 years but now I honestly don’t gaf, life is hard and 9-5’s aren’t my thing, stop treating life like it’s a trial run and go get to a bag and live it. It can be a blessing, if you’re thinking about dancing or already are, go into it with a goal and REMAIN focused, get in and get out. 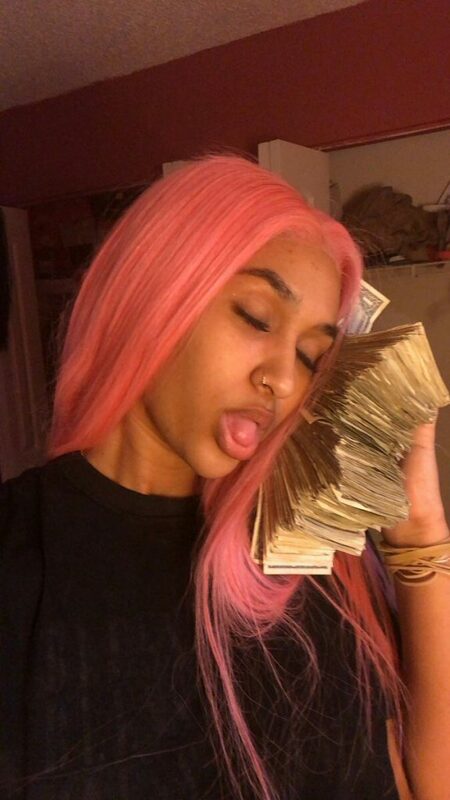 This fast money is crazy and you can’t get lost in this lifestyle easily.